40-Spotted Pardalote Project: Bruny Island. Brunyfire is privileged to witness a lot of bird life at the shack – a pair of black swans in the bay for example. But more recently, we have seen a lot of these little guys – a first for us here – and we suspect, due to lots of flourishing low cover around the place that give them the cover they like. 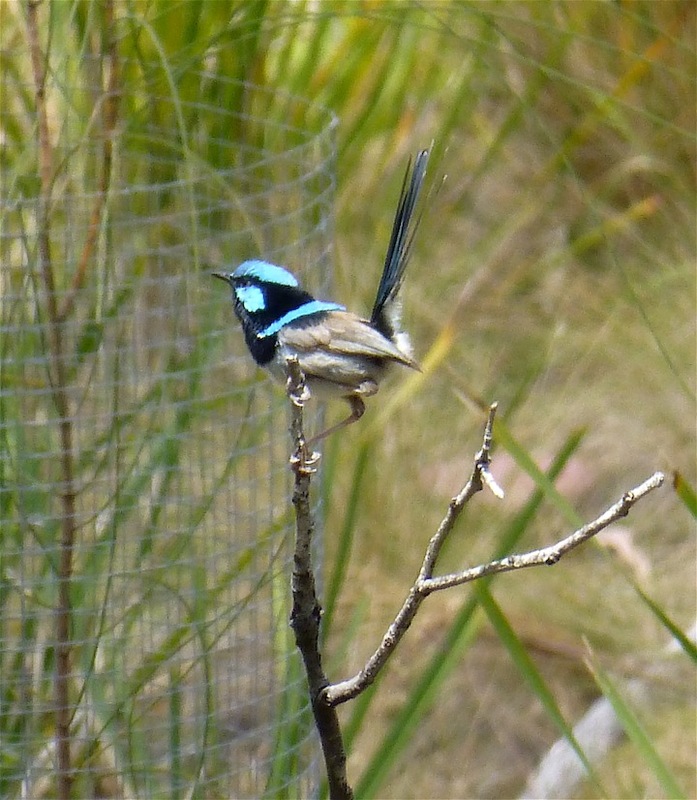 The male Superb Fairy-wren or Malurus cyaneus has a well deserved reputation (referred to as ‘sexual dimorphism’!) for attracting a gaggle of dowdy, but productive little females into his harem – not surprising with such an exuberant outfit. Over the years, as a couple of 10 Pound Pommies from many years back, we have learnt that small is beautiful here in Tassie – from its flora (tiny orchids) to some of its bird life. Whilst the Superb Fairy-wren measures in at a mere 140mm, there is another bird, even smaller (the smallest in Australia) – measuring in at only 90-100mm. 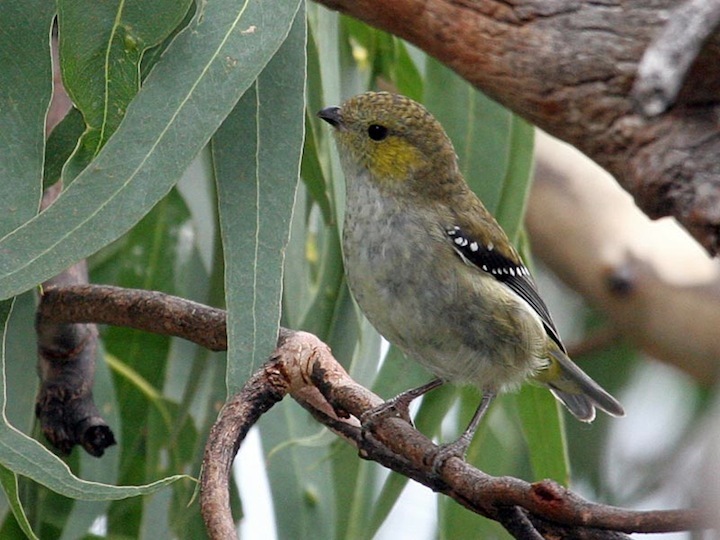 The 40 Spotted Pardalote (Pardalotus quadragintus) has made Bruny Island its home, but it’s in dire straits. This beautiful little bird is in danger of extinction having suffered a drastic 60% decline, leaving a total population of only 1200-1500 birds. To find out why this is happening, ANU Phd researcher Amanda Edworthy is attempting to find out all she can about the 40-Spots, as she refers to them, already ascertaining that their breeding and feeding cycles are being severely jeopardised by loss of habitat. 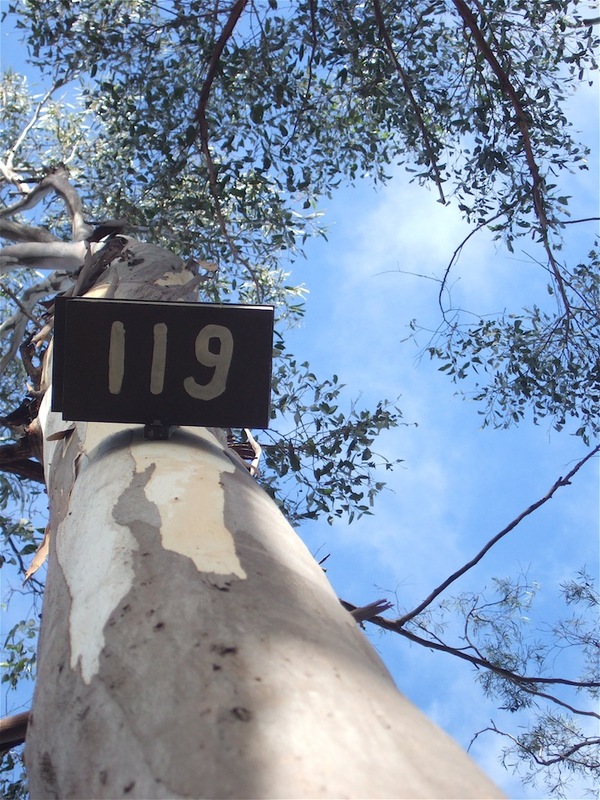 Their food source depends on the availability of white gums, Eucalyptus viminalis from which the 40 Spots harvest ‘lerps’ from the underside of the leaves. (Lerps are the protective covers of the psylid, a kind of plant louse, that excretes honeydew from the white gum leaves). Amanda has already discovered that more than half of the 40-Spot nestlings get eaten by predators or killed by screw-worm fly parasites. 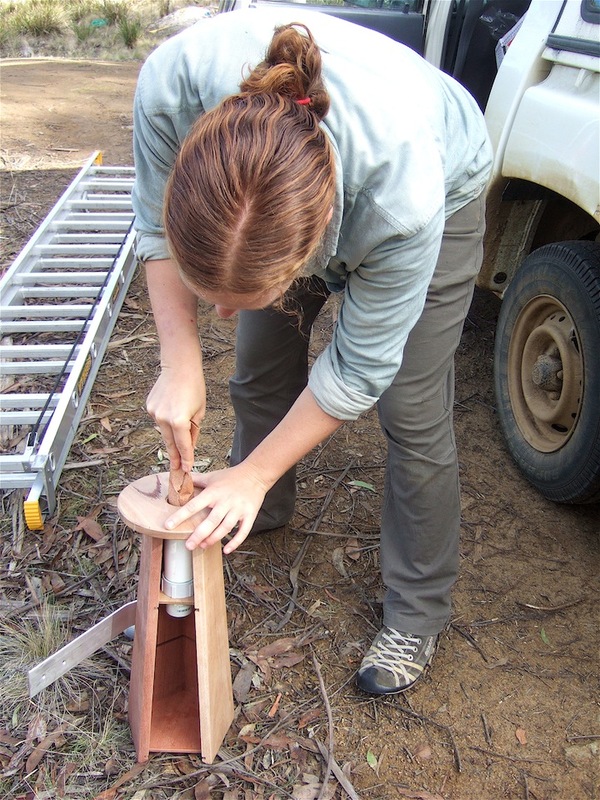 In order to monitor the breeding habits, and provide safer nesting sites, Amanda has embarked upon an interesting design initiative that has seen the involvement of aspiring furniture designers and a group of locals from Bruny. 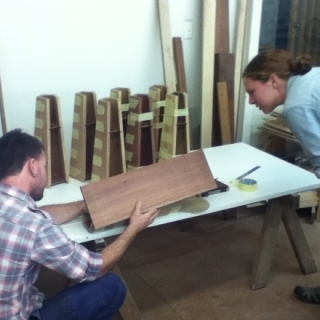 Three 2012 first year students from the Furniture Workshop within ANU’s School of Art worked closely with Amanda (who also has prior woodworking experience), to design and construct an innovative solution to the 40-Spots nesting problems. 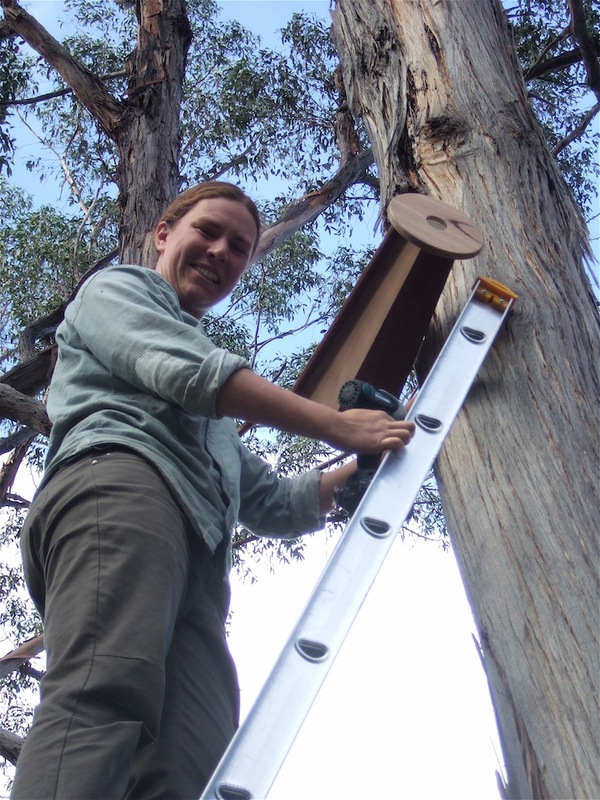 The nesting boxes, a tapered pentagonal shape, are intended to emulate the tree hollows that the nesting 40-Spots favour, and are designed to hang about six metres up trees nearest to the site of white gums. Built from timbers suitable for coastal areas the boxes are designed to fit together without the need for screws or bolts (that are prone to rusting) and left naturally unpainted. 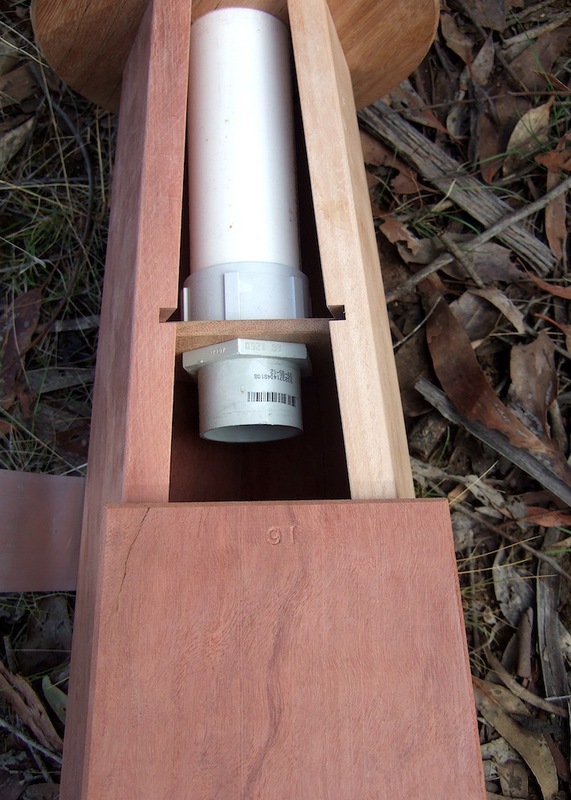 A circular disc shields the narrow entry PVC pipe to prevent known predators such as marsupial mice, snakes, and larger birds from accessing the birds. Amanda had also made contact with a bunch of blokes on Bruny who form part of the Australian Men’s Shed Association (AMSA) – a community-based organisation that provides its members a space in which to work on meaningful projects at their own pace, in their own time and in the company of others. A key focus is to advance the well-being and health of its members & to encourage social inclusion. Brunyfire was made aware of this project thanks to Don Knowler’s article in the local Mercury and got in touch with Amanda, as we were keen to support the project, having seen ground burrowing Pardoltes at the shack on several occasions. To help sponsor the project, * we bought a couple of nesting boxes, and invited Amanda to the shack to see if we had any suitable sites. 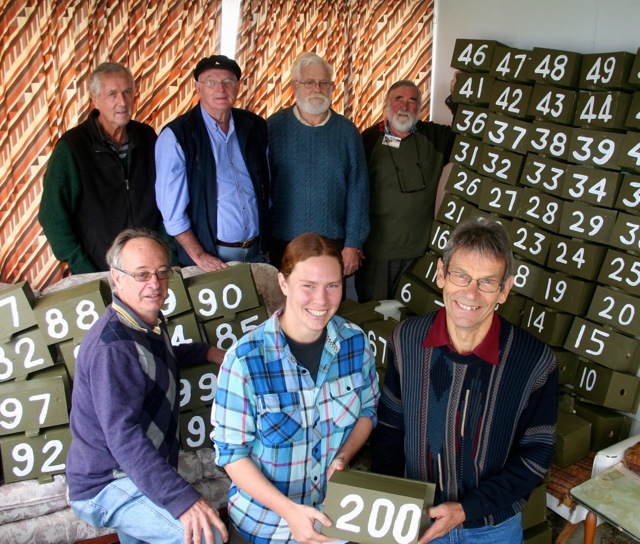 So we were well chuffed when she were offered us one of the ANU designed boxes – the geometry of which, being made up of pentagons and hexagons………. 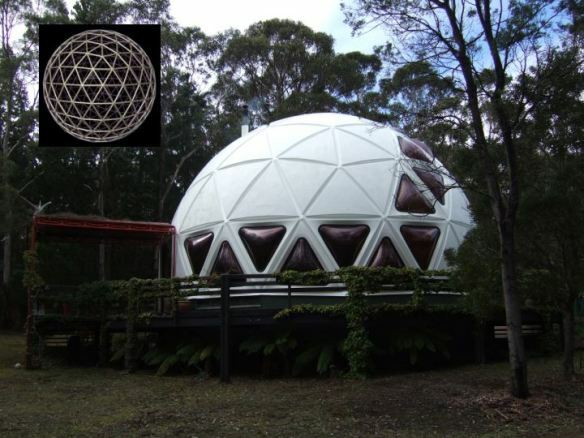 ………reflects the structure of our home dome………. …………. 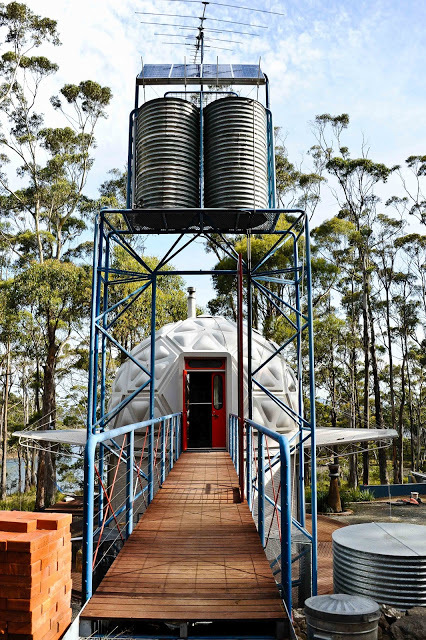 and our Bruny shack – a nice symmetry. 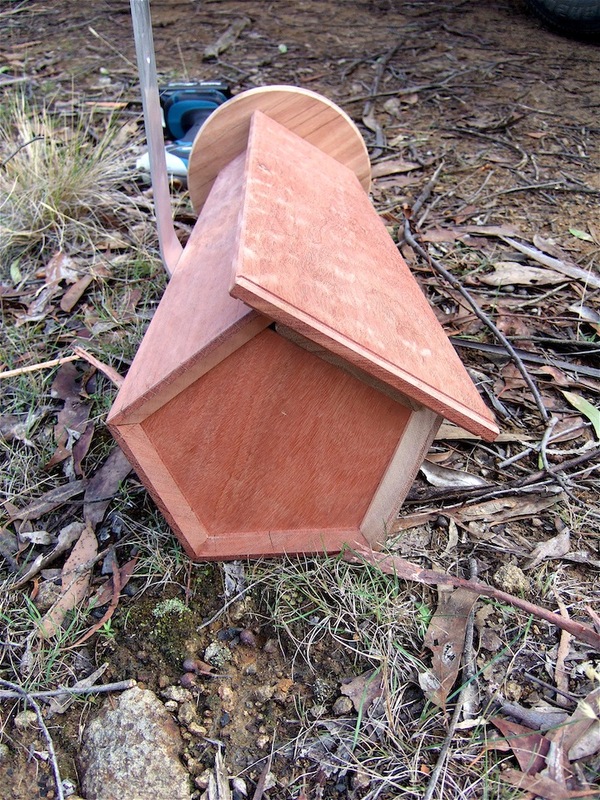 The pentagonal nesting box has a sliding top lid……… ………to enable inspection of the nesting box’s interior – it is here that the 40-Spot will build a ball like nest and lay 3 to 4 eggs. 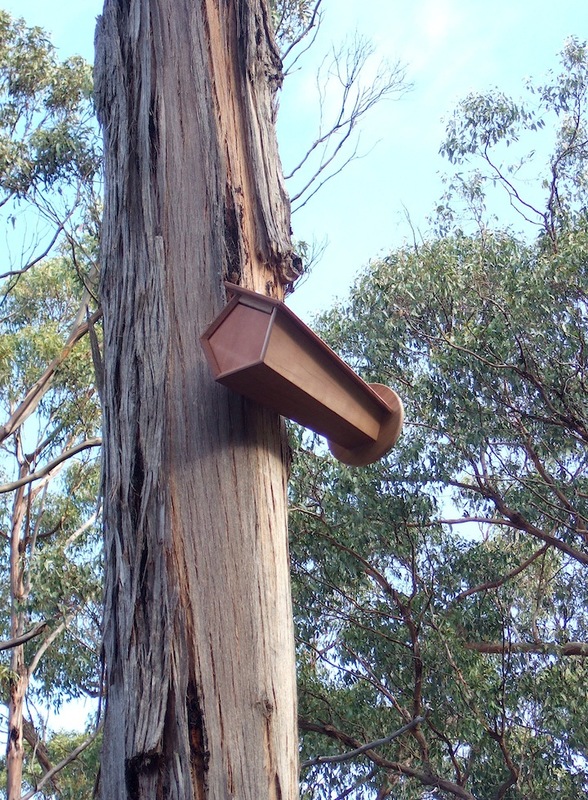 After Amanda has sourced a couple of white gums on the property (most of our trees are the ubiquitous blue gums) she sands the PVC entry tube to the box to enable the birds a non-slip entry………. ………. scales her trusty ladder to the nearest trees to the whites and zapp – they’re in place. I only hope the 40-Spots can respond with equal proficiency and speed as it would be an absolute disaster if these cute little critters were to disappear for good.